All aboard! 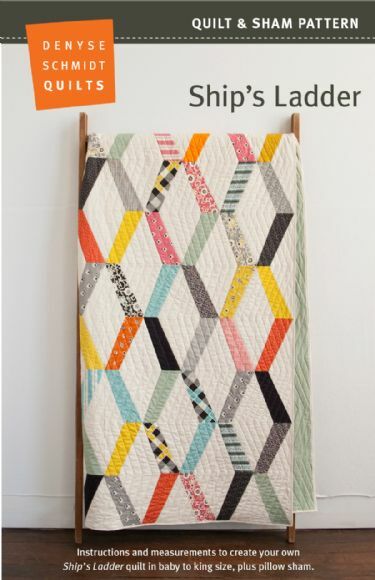 Anchored in a classic geometric design buoyed by vibrant color, it's smooth sailing for the Ship's Ladder pattern. Bring the excitement and adventure of the high seas into your home – nautical know-how not required! DSQ patterns include instructions and measurements for making the quilts in baby to king sizes. Shown in Denyse’s New Bedford print fabrics (out of print). 37 assorted print and solid fat quarters will make up to a king size quilt.